Posted on April 5, 2013 December 3, 2015 by Michelle L.
Teppanyaki, I’ve never met a soul who doesn’t love it. It’s one of the most versatile dishes you can make, and pretty easy too (minus the theatricals). You don’t need those fancy flat iron girdles they use in Japanese restaurants, just use your handy ol’ skillet. 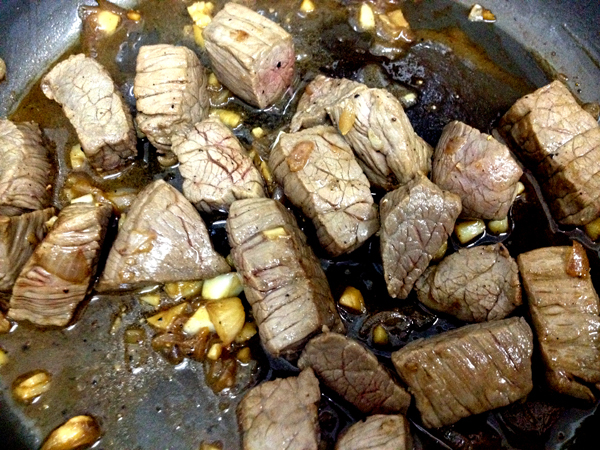 I’ll be teaching you how to make my favorite beef teppanyaki – just the beef. The vegetables you can cook separately by stir-frying them. Start by prepping the ingredients. Make sure you have all your main ingredients, sliced, chopped and minced accordingly. For the beef, prep them by rubbing them with salt. Not too much, just a bit for each piece as the Kikkoman soy sauce will add in more saltiness to the dish. Prepping beef this way will allow it to have a nicer, slight crust on the outside. IMPORTANT: Your beef needs to be left to thaw at room temperature before you can start cooking it. Same goes for your butter. 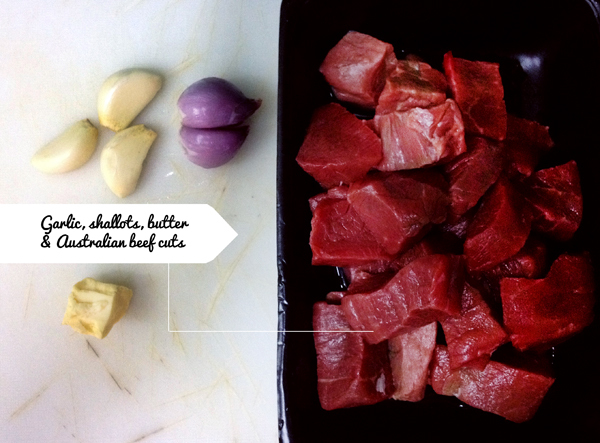 This is to ensure you have your beef cooked to perfection, moist & juicy. Warm some cooking oil on the skillet. 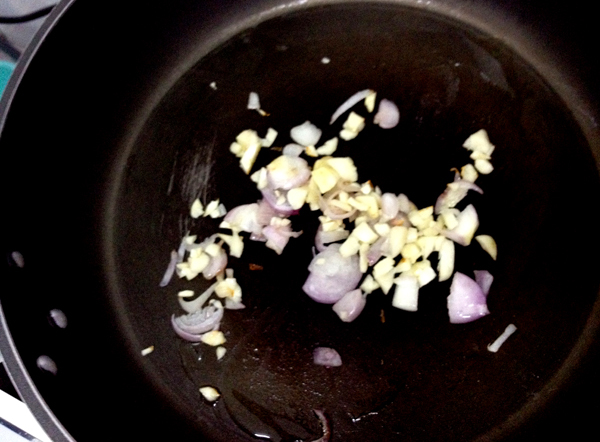 Throw in your garlic and shallots, stir-fry them until they start to turn brown and smell fragrant. 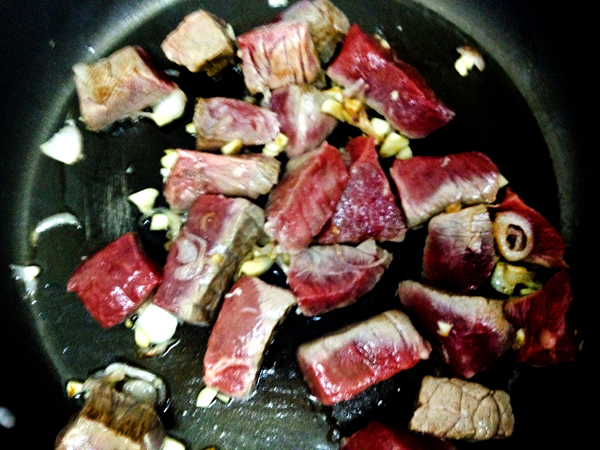 Then toss in your beef cuts. Stir them around to ensure all sides are cooked evenly for each piece. At this point, you can choose to cook for another 2 minutes for a well done beef. Otherwise, if you prefer medium rare meat like I do, sear the meat for another minute or so (all the sides should look brown but not well-done dark brown), add in another dash of black pepper, and you’re done. This here is a medium rare serving. Please cook for another 1.5-2 minutes if you prefer your meat well done. Remove from pan, serve hot, and enjoy. 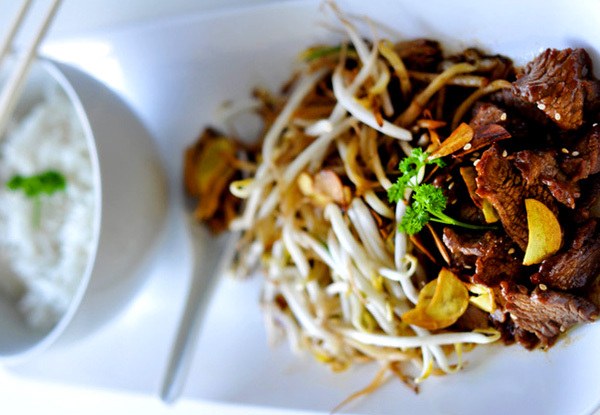 You can make some stir-fry cabbage or bean sprouts and serve this with some garlic fried rice. YUMS! One very hungry person, or two regular eaters.